We are no longer selling tickets online. Please call us in the office before 2pm on 020 7399 7440 to purchase your tickets. Alternatively, tickets will be available on the door. Join Galapagos Conservation Trust for an evening of lectures exploring the conservation breakthroughs and innovations happening in the Galapagos Islands. Hear from experts about how cutting-edge science and technology is helping us to conserve the unique wildlife of Galapagos from tracking Galapagos giant tortoise hatchlings from space to using the latest camera technology. 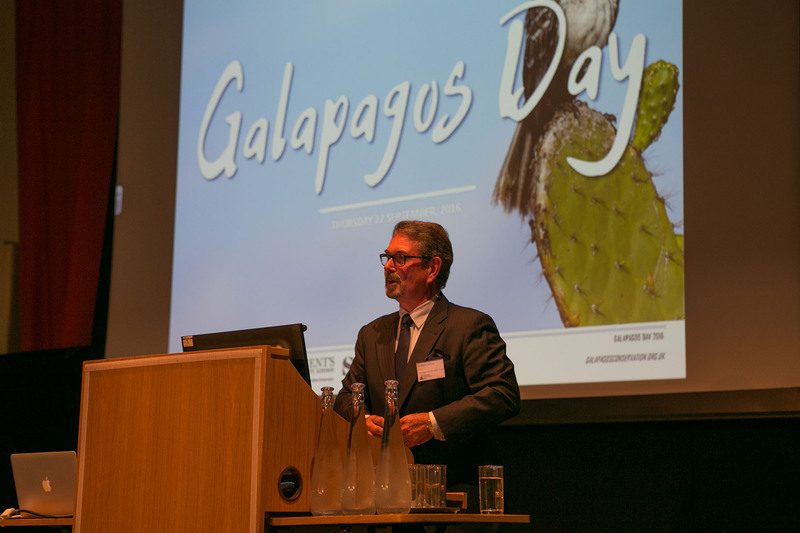 We are very pleased to say that Dr Jorge Carrion, Director of the Galapagos National Park, will be talking about the technology they use to safeguard the Galapagos Marine Reserve from detrimental activities such as illegal fishing. You will also hear from Ellie Mackay, Mission Director of The Plastic Tide, who recently joined GCT Chief Executive Sharon Johnson, and our partners from the Galapagos Science Center and the Galapagos National Park to trial plastic surveys using drone technology. Ellie will reveal whether the surveys were successful, show exclusive footage of what the surveys revealed, and talk about the potential to roll this out across the Archipelago. Also speaking on the night will be Diego Ellis Soto from the Max Planck Institute for Ornithology. Diego joined the Institute after working with Steve Blake on the Galapagos Tortoise Movement Ecology Programme. He will be talking about the ICARUS initiative which is trialling cutting-edge satellite tags designed for small animals to understand their behaviour, movement and life histories, including the giant tortoise hatchlings found in Galapagos! Don’t miss our 2018 Galapagos Photography Competition display featuring this year’s winners. There will also be a photography display from Falmouth University’s Marine and Natural History Photography students. In addition there will be a drinks reception, stalls to peruse and many like-minded people to chat to. Tickets are £30 (£15 for students) which will include one free drink. You can buy them by calling the GCT office on 020 7399 7440, or on the door. There are several bus routes which stop outside or within the vicinity of the RGS building including routes 9, 10, 52, 360 and 452. There are no car parking facilities at RGS. You can take the Piccadilly Line to South Kensington. Allow at least an hour for this journey. Gatwick Express train service to London Victoria station. You can then take the Circle or District Line to South Kensington.